Continuously-milled tubing is a unique technological instrument with the demand that is increasing worldwide. 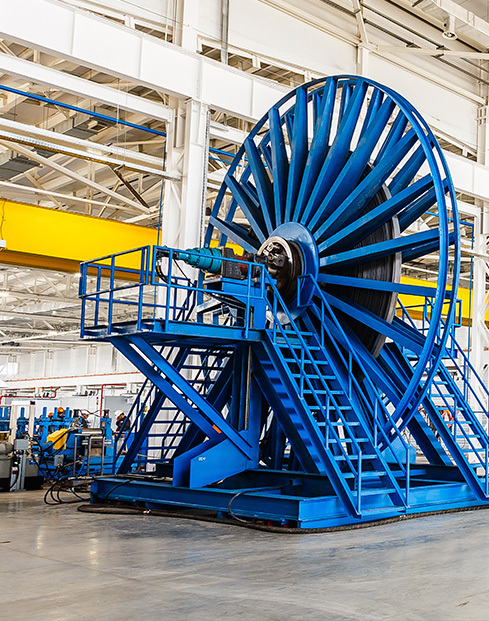 With the expertise in the area, we at ESTM have launched a coiled tubing manufacturing plant in Uzlovaya Special Economic Zone, Tula Region, to meet the requirements of oil and gas industry. We offer a combination of advanced technological solutions and highly competent personnel. With the manufacturing facilities of 15,000 m3, our CT plant has cutting-edge automated production lines. The ESTM plant will be producing Coiled Tubing ranging from 1” to 3 1/2” in size, up to 9,000 m long. All the strings will be designed, manufactured and tested to the industry standards (API 5 ST).